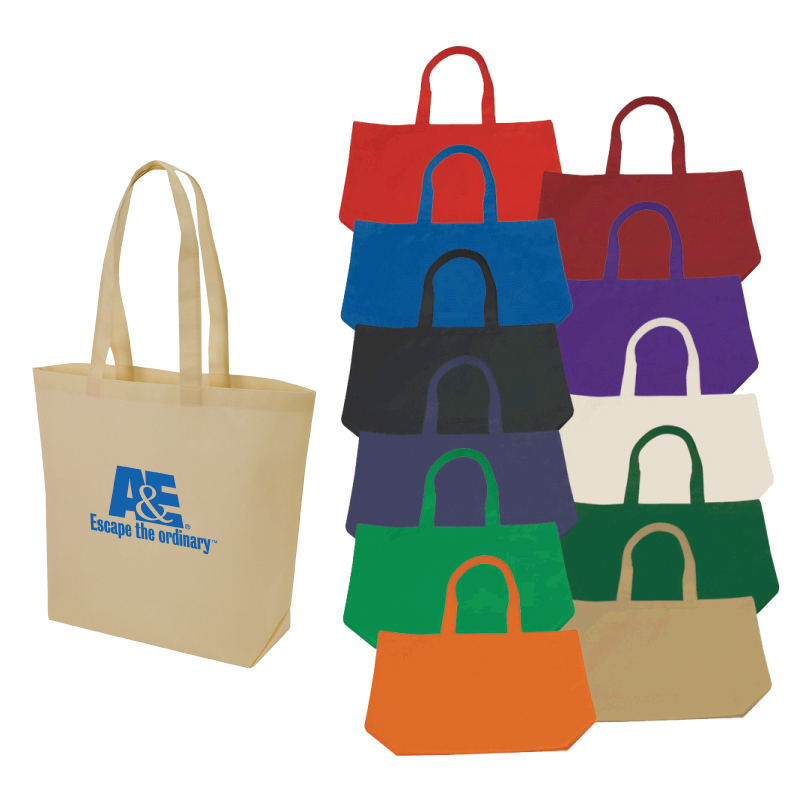 Product Details: Our most popular non-woven tote bag size. Great for getting groceries, packing stuff on the go, or saving the environment. Constructed of 100% non-woven soft textured polypropylene (100GSM) with stitched seams, reinforced handles, and hemmed opening. Tear and water resistant. Inquire for 4 color process full color heat transfer. Item Size: 18 3/4" x 15" x 6"
Approx. Imprint Size: 10" x 8"
Carton Dimensions: 20" x 16" x 5"